The question of this episode is “what beer is in your fridge?”. 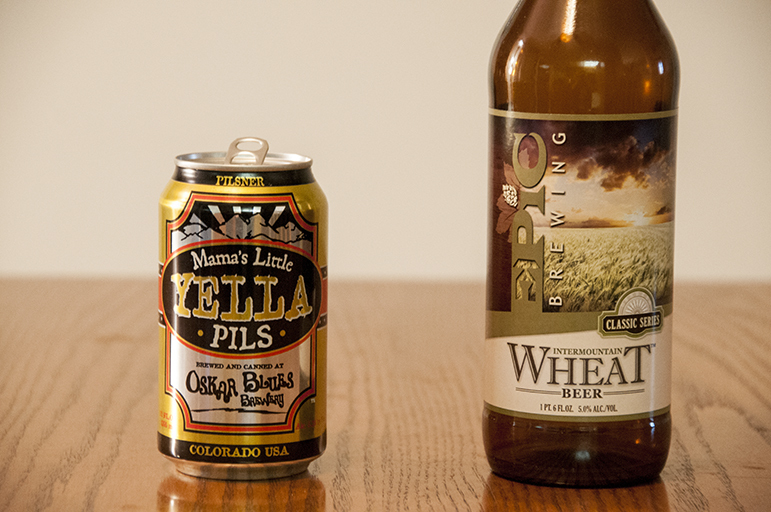 This rather quick episode the crew ended up trying the odd mix of Oskar Blues Brewery Mama’s Little Yella Pils and Epic Brewing Intermountain Wheat Beer. Posted in Blind Taste Testing (2011 - 2013) and tagged beer fridge, beerqwest, Epic Brewing, fridge, Intermountain Wheat Beer, mama, Mama's Little Yella Pils, odd mix, Oskar Blues Brewery, pils, what beer is in your fridge, wheat beer, yella.